In Multiplayer mode, die in certain times to unlock bonuses. Attachments - Equip two attachments to the same weapon. Focus - Reduced flinch when shot. Impact - Better bullet penetration through walls. Speed - Faster movement with weapon equipped. Damage - Shells do more damage. Breath - Hold breath while aiming down the sights. Remember you could melee faster with Akimbo USP .45s in Call of Duty: Modern Warfare 2? use your knife, you will noticed that you will be pulling out your knife faster. This is how you get many cash in MW3 SURVIVAL MODE SOLO PLAY ONLY! 2. 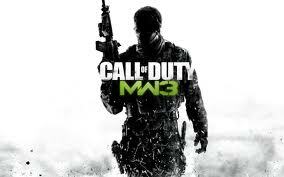 Open the game, Survival Mode MW3. Cheat Engine and First Scan. 4. Do step 3 again and again until you get 4 addresses in the address bar. 7. Then, go back to the game and kill another enemy then walah! Note: You cannot be banned by VAC cause you're on solo play, don't do it online.